This Yankee Pride Quilts original pattern is for the confident quilter. Careful fabric selection is very important. Take your time, measure accurately, and you can create this heirloom quilt. 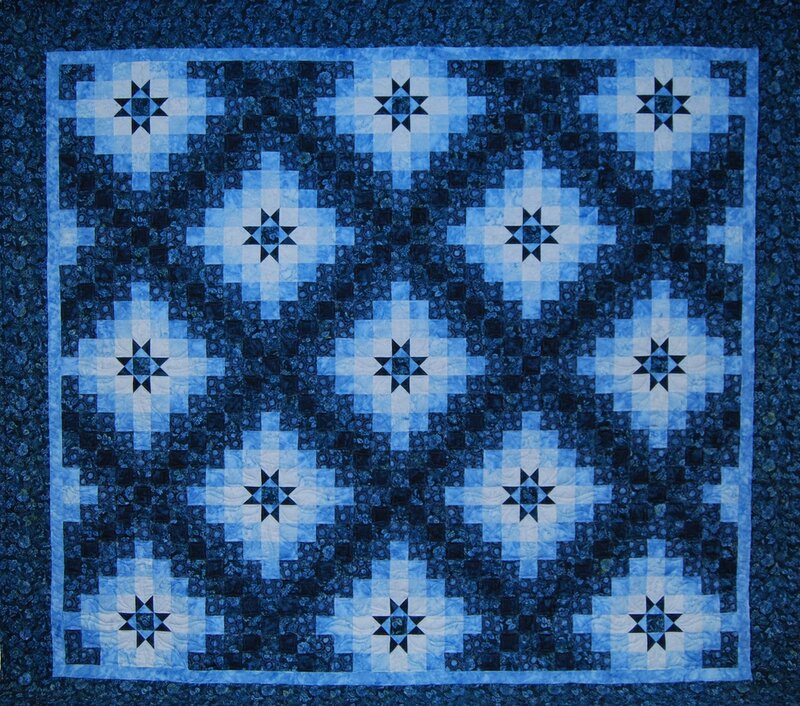 This is a Yankee Pride Quilts pattern, created by owner Judy Thomas. You may have seen photos of it on the Internet - every time someone posts their finished quilt, we get calls and e-mails from quilters who want the pattern. Very explicit step-by-step instructions make this gorgeous quilt achievable by most quilters. Take a deep breath, cut carefully, and sew your heart out! The finished size of the quilt is 93 inches x 104 inches - just right for a queen-sized bed! 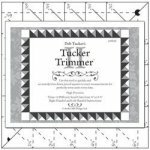 For accuracy, we recommend using Studio 180's Tucker Trimmer II. 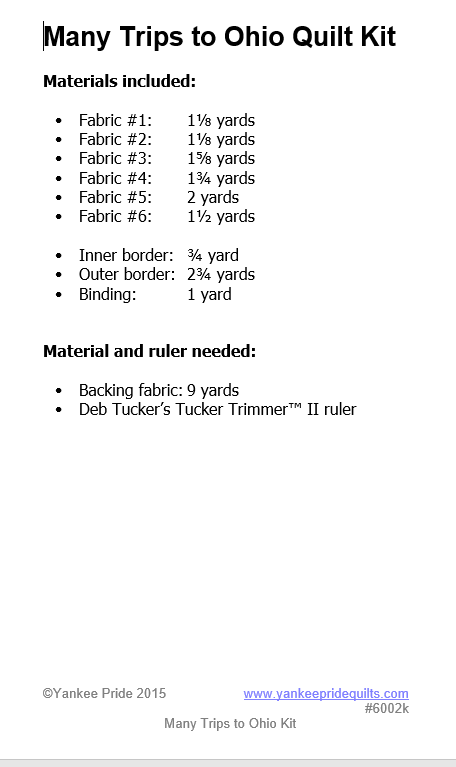 Click here for information on yardage requirements.